Operating Pressure: 130 lbs. Tractive Effort: 12,453 lbs. Engine Weight: 81,900 lbs. Rented from the Baltimore & Ohio Railroad during the latter part of 1900 when the Baltimore & Lehigh's new engines were found to be too heavy to operate over the old narrow gauge roadbed and trestles. 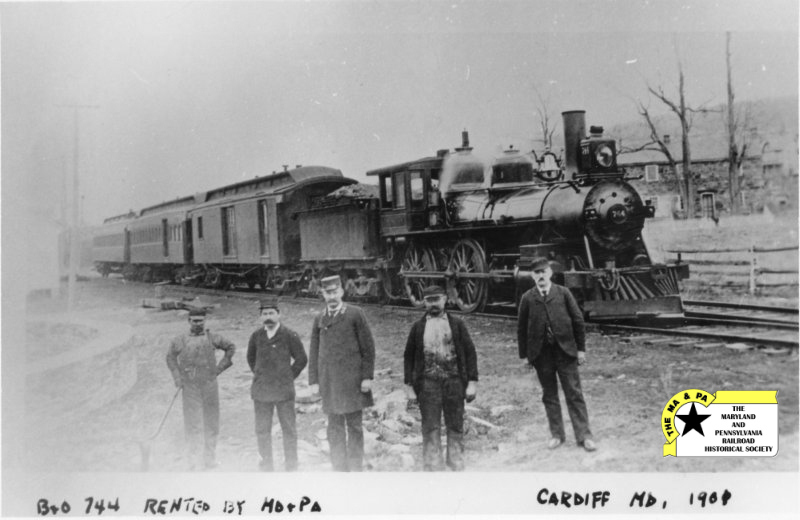 Was returned to the B&O in November of 1901 when the M&PA's new engines arrived from Richmond. Operating Pressure: 130 lbs. Tractive Effort: 13,857 lbs. ** Engine Weight: 95,000 lbs. 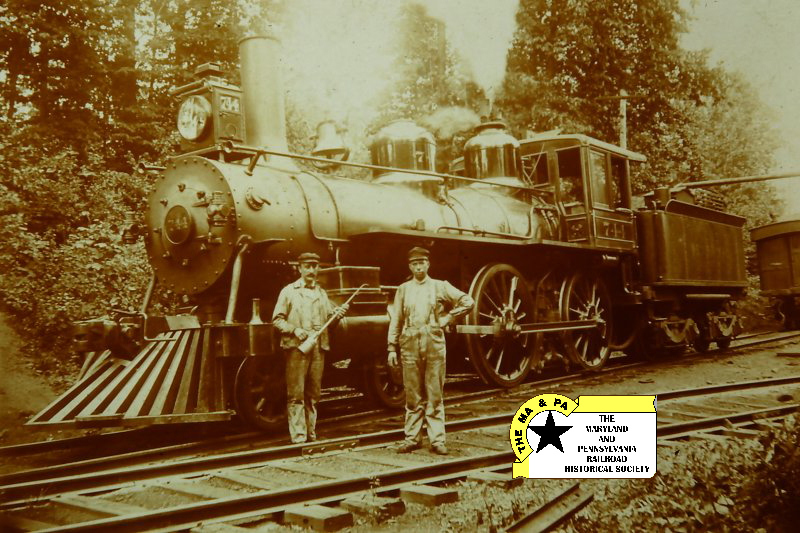 * Acquired by the Baltimore & Ohio Railroad in January, 1890. ** Tractive effort is for engines in class H-6 with 62" drivers. Operating Pressure: 130 lbs. Tractive Effort: 13,018 lbs. Engine Weight: 83,200 lbs. Operating Pressure: 130 lbs. Tractive Effort: 12,453 lbs. Engine Weight: 84,600 lbs. Operating Pressure: 200 lbs. Tractive Effort: 28,691 lbs. Engine Weight: 131,000 lbs. This engine was built for the Maryland & Pennsylvania Railroad, but was never operated by the M&PA. 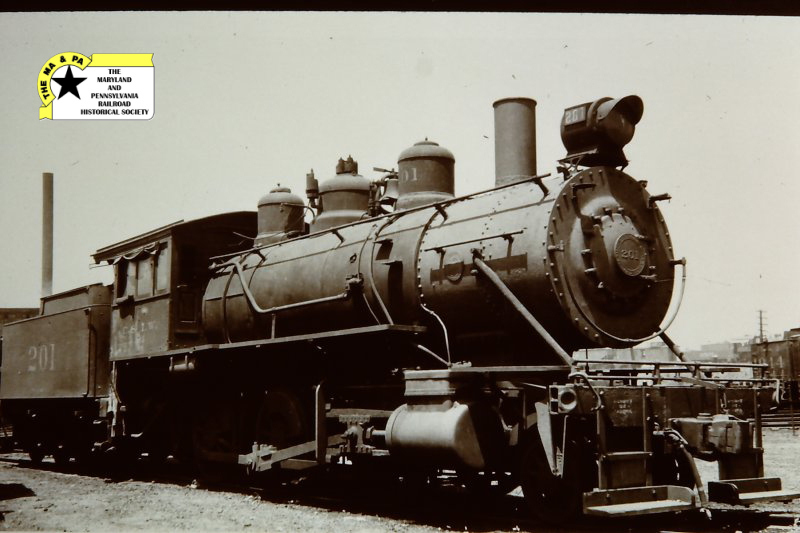 It was delivered directly to the Chicago & Illinois Western Railroad where it was numbered 201. Operating Pressure: 225 lbs. Tractive Effort: ? lbs. Engine Weight: 161,000 lbs. 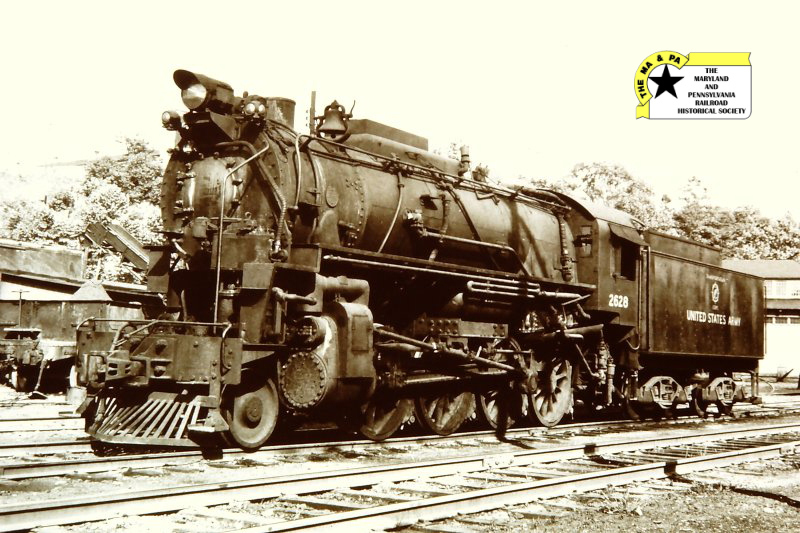 This engine operated in regular service over the Maryland & Pennsylvania Railroad from February of 1950 to September of 1951 on loan from the US Army, who wanted the Franklin poppet valves tested. Operation of the locomotive was satisfactory and the poppet valves were particularly well liked. The Delta Herald reported that on March 27, 1901, B&O engine No. 433 (Class E-2, 2-8-0) ran into York with a group of officials on inspection. It was the first time that a B&O engine had entered York.